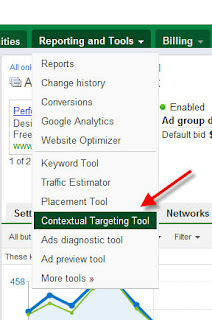 The tool creates keyword groups, but you must be a "power user" in order to export to Adwords Editor, and the create new adgroups around these themes. The keywordspy.com method I am testing is very similar to using the free Google Keyword Tool, but I’ve found keywords to be somewhat different, plus keywordspy allows you to sort keywords according to “profitability”, which may be an indication of a good niche. Wonder Wheel may dive too deep into long tail terms, and the textanz method is too time consuming for my liking. Great piece on the Google Wonder wheel. We need more of this sort of information. Thanks..I shall be back! How's things? Can't believe I've not come across your blog before. Having some great success with the content network as well at the moment - I'm also a Keyword Spy user like yourself. keyword spy is a great tool and I have used it often but my advice is to take the ROI figures with a pinch of salt, they certainy serve as guide bot nothing more. 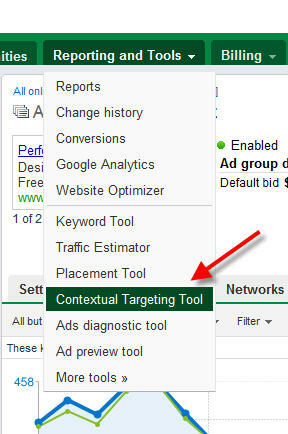 Check your own adwords account against whay keywordspy thinks are your best ROI keywords and you will see what I mean. hi friend,thanks for sharing .It adds a visual component to your keyword research turning it into a fun game.When you click a word at the end of the beam another keyword wheel pops up with your selected search term surrounded by related keywords.I think Wonder Wheel is more useful than Adverse. Thank you for the information. I have not used keywordspy before and will give it a go.